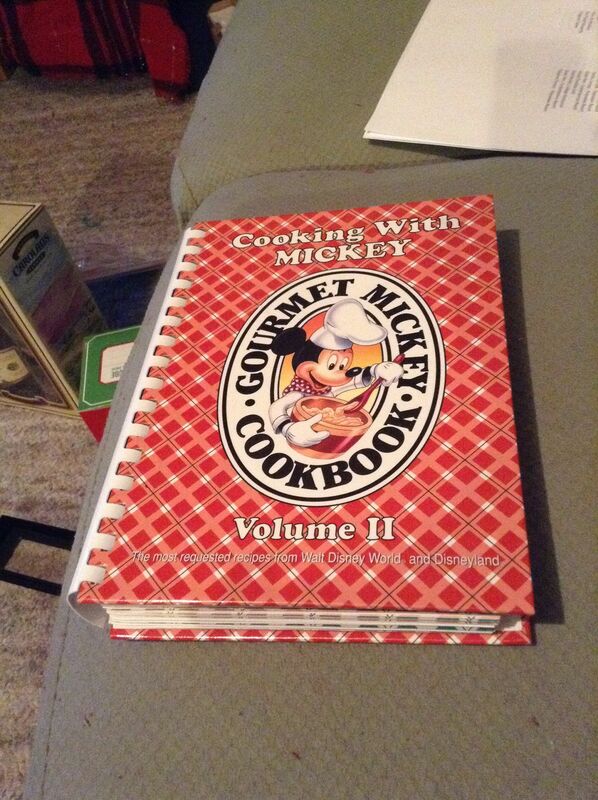 So last week in 2013 I found this awesome Disney cook book from Disney World that someone originally bought $19.99. I bought it for $2.99. Wow. I still can't believe what people will donate. The cook-book is from the 90's and refer's to "Finding Nemo" as "The Living Seas" in Epcot which was the attraction prior to Finding Nemo. lol. 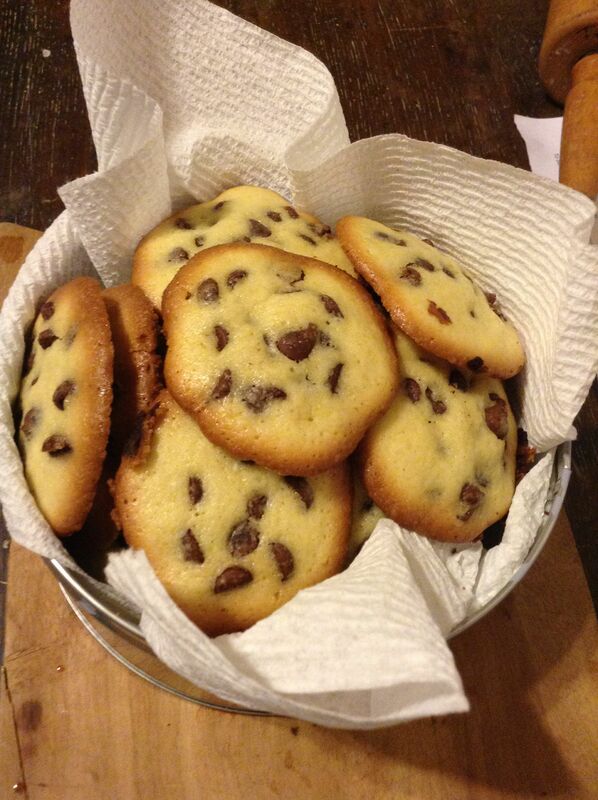 So today, 01-03-2014 I decided to try a dessert from Epcot, simple Chocolate Chip Cookies from "The Land." It called for 1/2 cup of shortening which I switched out for butter. The dough does not look so good but they do taste really really good. One of my projects either this weekend or next week is to copy the pages in the book so if we decide to make something another time we don't run the risk of ruining the cook book. I am also hoping to make more recipes of the book.